Within hours of the discovery of a body in Pope Lane, Ribbleton, rumours were already spreading the deceased was a man known to police. A short time later, relatives of Karl Bruney had turned up at the scene asking if police were able to confirm the rumours. A warrant for Bruney's arrest was issued last month at Preston Crown Court after he failed to attend court to answer charges over a number of driving offences. The 29-year-old - a well-known figures in the area around Pope Lane - is also wanted for breaching bail conditions. Residents gathering around the police forensics believed Bruney's time on the run had come to an untimely end. Relatives also arrived asking police to confirm the rumours and a number of premature tributes appeared on social media. It was not until lunchtime that police were unable to publicly and categorically rule out the powerfully-built Bruney as the victim - revealing the body found in the early hours of Thursday morning was that of a woman. Earlier in the day, one resident said: “It’s inevitable if that’s what had happened really. This morning police had initially said that they were investigating the “death of a man”. Crime Scene Investigators descended, setting up a tent on the junction between Pope Lane and Village Drive. 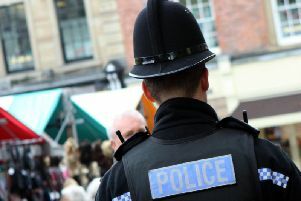 Police had been called to reports of an altercation in Pope Lane in the Moor Nook area at 2am. It is now known that the body is a woman, however and that she has yet to be formally identified. “We know that she has been the victim of a brutal assault and we have a number of detectives working on finding out exactly what has happened to her."